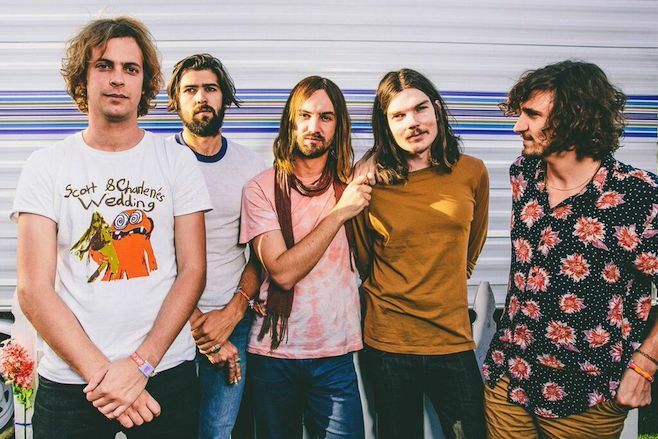 With Tame Impala finally announcing that their third studio LP Currents will be released on July 17th, they’ve released what is now their fourth single off the upcoming album. The previous three have already featured vibrant electronica, more familiar fuzzy tones, but each track backed up with some excellent vocals by Kevin Parker with his smooth and hazy falsettos that filter through the track’s instrumentation. With ‘Eventually’ he does it again as they demonstrate their subtlety and a fragility to their music. It has a simple back beat and a wiry synth meandering around it, which sets up the song for some well placed surges of distorted guitar to only emphasise the more considered tones as more washed out electronica flows over you. The result is a chilled and relaxed track for those phased out moments. The anticipation for Currents goes on.